Monitoring plays an inevitable part in any IT infrastructure. It could be argued that monitoring tools are the most essential, providing crucial information that will help you ensure service up time and optimal performance. A well configured monitoring setup will keep track of all the important activities and most importantly alert us in case of problems. This gives the space for system administrators to sleep peacefully knowing that he/she will be alerted in case if something is broken. 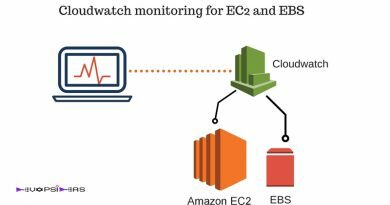 There might be more than one monitoring tool used in most devops environment. 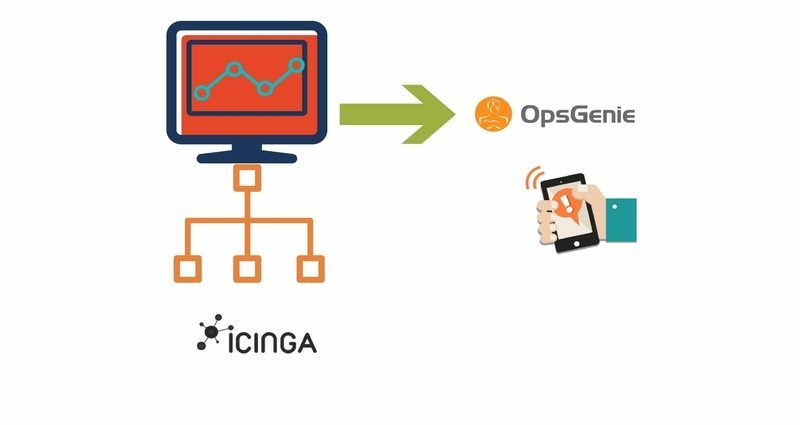 In this article we will be seeing the installation and basic configuration of Icinga2 which is the Infrastructure monitoring tool and how to integrate it with opsgenie for the purpose of alerting. We will be using out of the box configuration of Icinga2 to test our results in this article since customizing icinga2 monitoring is a concept in itself . Icinga2 is an open source Monitoring tool with which you can monitor almost anything (servers, network, switches, routers etc). Icinga (Icinga 1) is a fork of Nagios with some enhanced graphical Interface and few changes in the architecture . Icinga2 on the other hand was designed from scratch in order to address the longstanding bugs of Icinga. We will be pairing Icinga2 with Icinga Web 2 as the web client. We can also use Icinga Classic if need be. There are multiple ways to monitor remote clients. Icinga 2 uses its own unique and secure communication protocol amongst instances. Be it High-Availability cluster setup, distributed load-balanced setup or just a single agent. All communication is secured by SSL x509, and fully supports IPv4 and IPv6. The “old” NRPE (Nagios Remote Plugin Executor, which we can use in Icinga and Icinga2 as well) protocol is considered insecure and has multiple flaws in its design. In order to stay safe, we will be using the native ‘Icinga 2 client’ for our illustration. Icinga2 in itself has basic notification features like mail and sms (Requires additional configuration). If fiddling with email to SMS gateways, managing on-call schedules and keeping track of monitoring issues sounds like a nightmare, we can integrate Icinga2 with web-based notification management SaaS like opsgenie, pagerduty and Victorops to directly notify the respective oncall person through email,sms and Phone call. In this article we will see how we can integrate opsgenie with Icinga2. A simple and flexible mail integration as well as a RESTful API allows almost every tool to integrate with OpsGenie. You can set various rules and options within those apps like setting escalation matrix, set alerting rules so that you can combine several incoming notifications into a single meaningful and actionable alert. etc. One other major advantage is that we can pass message to Icinga2 through Opsgenie with the help of a process called Marid (We will see about this later). For example, if you acknowledge an incident through opsgenie, the message will be passed to Icinga2 with the help of Marid and it’ll will stop sending alerts for that specific failure knowing that someone has acknowledged it. Whatever comments or description you add in the notes of an alert in opsgenie, the same will get documented for the specific alert in Icinga. This helps you in getting a clear picture on whats being done when you generate a report in icinga2. Note: You need to pay for these web based notification services. For more details, check the pricing here for opsgenie, pagerduty and Victorops. If you are fine with the default notification method then you can skip this part. Icinga is a Zulu word meaning it looks for , it browses , it examines. As far as we can tell, it is pronounced with one of the famous Zulu click consonants. So it should be almost impossible for Non-Zulu people to pronounce it correct. So the best answer probably is: You can pronounce it any way you like. We need to install the following components in order to successfully setup the aforesaid monitoring type. The below steps are for doing the installation in Ubuntu 14.04. Please modify your commands as per the flavor which you are using. You should have root or sudo privileges in order to carry out the below tasks. By default Icinga2 provides various features like checker, mainlog, notification, graphite, compatlog, debuglog, perfdata etc. The below feature are enabled by default. Note, just enabling feature will not make things work. Corresponding configuration changes should be applied for those features to work as expected. Icinga 2 can be used with Icinga Web 2 and a number of other web interfaces. This article explains how to set up Icinga Web 2. The DB IDO (Database Icinga Data Output) modules for Icinga 2 takes care of exporting all configuration and status information into a database. There is a separate module for each database backend. At present support for both MySQL and PostgreSQL is implemented. The mysql-server installation will prompt you to provide root password during the installation process. This will be your root password for the mysql instance. Make a note of it. The second command creates a table called ‘icinga‘. We have also created a user called ‘icinga’ and assigned some privileges to the icinga database and also assigned a password icinga2password. The icinga2-ido-mysql package provides a new configuration file that is installed in “/etc/icinga2/features-available/ido-mysql.conf”. You will need to update the database credentials in this file. After enabling the feature, we need to restart icinga2 for the changes to take effect. We need a webserver in order to manage icinga2 through GUI. In this example we will use apache2 as webserver. To install apache2, run the below command. Web interfaces and other Icinga addons are able to send commands to Icinga 2 through the external command pipe. Lets enable that as well. By default the command pipe file is owned by the group icingacmd with read/write permissions. Add your webserver’s user to the group icingacmd to enable sending commands to Icinga 2 through your web interface. The preferred way of installing Icinga Web 2 is to use the official package repositories depending on which operating system and distribution you are running. But it is also possible to install Icinga Web 2 directly from source. In this article we will install Icinga Web 2 from package repositories. If everything went well, Icinga web 2 should have been installed by now. Next we need to configure Icinga Web2 which we will do it through GUI. Now, open a browser and type ‘http://<DNS or ip address>/icinga2web/setup’. This will launch Icinga Web 2 setup wizard. You’ll see a screen like below. The only value the setup home page needs is ‘Setup Token’ in order for authentication. The page in itself contains the instructions to generate a new setup token. The token will be generated using the IcingaCLI. It also describes how to generate a token manually in case the IcingaCLI is missing. Also note that the instructions specifies that we need to create a system group called ‘icingaweb2‘ which the user www-data will be a member of. By default the group icingaweb2 will be created while installing Icinga web2. The below command will create configuration directory for icingaweb2. The output will be like – ‘The newly generated setup token is: 9267c5e339dd05b8′. Copy and paste the token value and hit Next. Possible reason for the error is, the apache2 user (www-data) does not have access to perform the operation. Chances are you might not have restarted apache2 after adding it to the group ‘icingaweb2′. Restart apache2 to resolve this and hit Next. You’ll see a screen showing the available modules. Select the Monitoring module and hit Next. Next screen will show the list of packages that are required. Packages highlighted in green are already installed. The ones highlighted in yellow are not installed but optional. The ones highlighted in red are not installed and are mandatory. The screen shot is truncated and the are several other modules which are highlighted in yellow. We need to fix the php timezone error which is highlighted in red. Search for the value date.timezone and uncomment it by removing the ‘;’ in the starting of the line. You can enter your preferred time zone. The value should look like below. 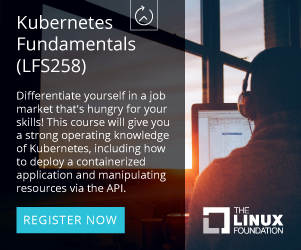 Its up to you to install the optional packages. If no modules are highlighted in red, then we are good to hit the Next button. In the next screen you’ll be asked to enter the type for Authentication where the users and user groups will be stored. In our example, we will be using Database. If you are using external authentication client, then you need to select External and follow the configuration process accordingly. In the next page you’ll be asked to enter the details to store users and user groups. You can pass the value for Host as ‘localhost’ if the database is running in the same host or the external server name in which the database is running. By default the port points to 3306. Next you can pass a database and username of your choice. Note that the database itself does not need to exist at this time as it is going to be created once the wizard is about to be finished. You can hit the ‘Valid Configuration’ button to check the validness of the details which you have provided. Next you’ll be prompted to enter the root mysql user id and password (You can pass the id and password of the user that has enough privilege to create a new DB). You can keep the default value for the next screen and hit Next. In the next page, you’ll be asked to enter details for your first administrative account. The next page will ask for details related to logging. Make changes as per your need and hit next. In this example we will keep the defaults. In the next page you’ll be asked to verify your details which you have configured so far. Hit Next to confirm the changes. Next you’ll be taken to the welcome page for configuring the monitoring module for Icinga web 2. In the next screen you’ll get screen for configuring the Monitoring Backend. Pass a name for backend and hit Next. Next you’ll be asked to fill details for IDO. We have already created a DB called ‘icinga’ earlier. Enter the Database name and username as icinga and the password for the user ‘icinga’ (icinga2password in our case). Validate your configuration and hit next. Keep the defaults for Command Transport and hit Next. Keep the defaults for Monitoring security ( To mask the values of custom variables) and hit Next. Next you’ll be shown the consolidated configuration details for the monitoring module. Review it and hit the Finish button. If everything goes well, you’ll get a successful set up page as below. Click ‘Login to Icinga Web2’ in order to enter the login page of Icinga2. As you can see, icinga2 comes out with pre-configured alerts that includes disk, http, swap, procs, ssh etc. We need to add clients to the server in order to monitor them. Follow the below steps for adding remote host. We can use the CLI command ‘node wizard’ for setting up a new node on the master. The command must be run as root, all Icinga 2 specific files will be updated to the icinga user the daemon is running as (certificate files for example). Run the below command in icinga2 server. We’ll guide you through all required configuration details. ‘api’ feature not enabled, running ‘api setup’ now. information/base: Writing private key to ‘/var/lib/icinga2/ca/ca.key’. information/base: Writing X509 certificate to ‘/var/lib/icinga2/ca/ca.crt’. information/cli: Initializing serial file in ‘/var/lib/icinga2/ca/serial.txt’. information/cli: Generating new CSR in ‘/etc/icinga2/pki/icinga2-node1.localdomain.csr’. information/base: Writing private key to ‘/etc/icinga2/pki/icinga2-node1.localdomain.key’. information/base: Writing certificate signing request to ‘/etc/icinga2/pki/icinga2-node1.localdomain.csr’. information/cli: Signing CSR with CA and writing certificate to ‘/etc/icinga2/pki/icinga2-node1.localdomain.crt’. information/cli: Copying CA certificate to ‘/etc/icinga2/pki/ca.crt’. information/cli: Adding new ApiUser ‘root’ in ‘/etc/icinga2/conf.d/api-users.conf’. information/cli: Dumping config items to file ‘/etc/icinga2/zones.conf’. information/cli: Updating constants file ‘/etc/icinga2/constants.conf’. Icinga 2 can be installed on Linux/Unix and Windows. While Linux/Unix will be using the CLI command node wizard for a guided setup, you will need to use the graphical installer for Windows based client setup. SSL signed certificate for communication with the master (Use CSR auto-signing). If your remote clients are capable of connecting to the central master, Icinga 2 supports CSR auto-signing. First you’ll need to define a secure ticket salt in the constants.conf. The setup wizard for the master setup will create one for you already. Note: Never expose the ticket salt to your clients. This is the master’s private key and must remain on the master providing the CSR Auto-Signing functionality for security reasons. The client setup wizard will ask you to generate a valid ticket number using its CN. If you already know your remote client’s Common Names (CNs) – usually the FQDN – you can generate all ticket numbers on-demand. Next step is to add the client to master through ‘node wizard’. 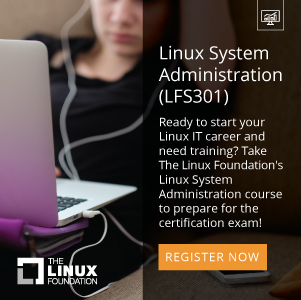 information/cli: Received trusted master certificate. information/cli: Processing self-signed certificate request. Ticket ‘1268baa4f51f6f8fcd7214d52472883915175fz1‘. information/cli: Writing signed certificate to file ‘/etc/icinga2/pki/icinga2-server.localdomain.crt’. information/cli: Writing CA certificate to file ‘/etc/icinga2/pki/ca.crt’. information/cli: Created backup file ‘/etc/icinga2/features-available/api.conf.orig’. information/cli: Created backup file ‘/etc/icinga2/zones.conf.orig’. information/cli: Created backup file ‘/etc/icinga2/constants.conf.orig’. If you get any error during the above step, check if you are able to connect to the master through 5665 or the port which you have configured master to listen. Restart icinga2 after the successful completion of the node wizard in the client. As you can see, the default configuration checks for apt, disk, http, load, ping, procs, ssh, swap and users. There is a dedicated Icinga 2 CLI command for updating the client services on the master, generating all required configuration. information/cli: Adding host ‘icinga2-client.localdomain’ to the repository. Make sure to reload Icinga 2 for these changes to take effect. After updating the configuration repository, make sure to reload Icinga 2. As of writing this article, there is a bug in icinga2 version – r2.4.7-1. By default scheduled downtime is added to the Icinga2 master from 11:30 am to 12:30 pm. If you try to remove it through the web interface, you’ll not be able to do it. There is a work around to fix this. Search for the below lines and remove it (The line numbers are 86 and 87). Above steps will fix the issue related to downtime. Icinga2 sends alerts to OpsGenie with scaringly detailed information. OpsGenie acts as a dispatcher for Icinga2 alerts, determining the right people to notify based on on-call schedules, using email, phone calls, text messages (SMS) and iPhone & Android push notifications, and escalating alerts until the alert is acknowledged or closed. OpsGenie posts alert updates to Icinga2, e.g. acknowledging the alert will automatically ack the alert in Icinga2, alert comments are reflected to Icinga2 etc. Before beginning this part, create an account with opsgenie. If you are testing, then you can opt for 14 days free trail that they offer. The plugin should be installed on the same server Icinga2 is running. You might receive warnings stating ‘No java executable found.’ This means that java is not installed in the server. Lets install it before we proceed further. If you have multiple versions of java already installed, then you can the one which you prefer by running. Login to OpsGenie dashboard (Opsgenie Login). The plugin uses a golang-executable file (included in the plugin as icinga2opsgenie) to create, acknowledge and close alerts in OpsGenie. Icinga2 should be configured to execute this file on events to create, acknowledge and close alerts in OpsGenie. Setting the apiKey is required. Other configuration parameters are set to defaults that work with most Icinga2 implementations but may need to be modified as well. Optional : If you want to get a graphical report based on data points, you can integrate graphite with icinga2. The advantage is that OpsGenie automatically connects to Icinga2, gets performance data from Graphite for the host/service and attaches it to the alert. The plugin uses Marid utility (included in the plugin) to enrich alerts when they get created and to update the state of the them in Icinga2 when they get updated in OpsGenie. For example, when an alert is created in OpsGenie, Marid gets the details(histogram, trends etc.) from Icinga2 and attaches them to the alert. Also when users acknowledge an alert from their mobile devices using the OpsGenie app, alert gets acknowledged in Icinga2, and when users add comments to alerts in OpsGenie, comments get posted to Icinga2 as well. Marid subscribes to alert actions in OpsGenie and reflects these actions on Icinga2 using Icinga2 CGIs. Note: In order to use this feature “Send Alert Actions To Icinga2” checkbox should be enabled in OpsGenie Icinga2 Integration. Marid is a java application; therefore requires the Java Runtime version 1.6+ Both the Open JDK and Oracle JVMs can be used. We have already make the necessary configuration changes for Marid to work. Finally we have completed all the necessary configurations and its time to test now. If the integration works as expected, when a host or service state becomes down in Icinga2, an alert will be created in OpsGenie. When the host or service comes back up, the alert in OpsGenie will get closed automatically as well. Check whether the alert is created in OpsGenie. If not, check the logs in /var/log/opsgenie/icinga2opsgenie.log for any error messages. You would also get a notification through your mobile and an email followed by sms and a voice call. This basically follows the Notification Rules that you set under your profile in OpsGenie. We have successfully implemented Icinga2 with Opsgenie.